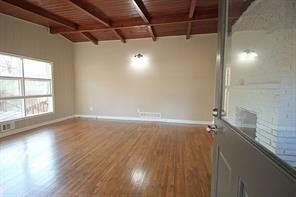 Beautiful move in ready renovated 2 bedroom, 1 bathroom that you will love to call home. 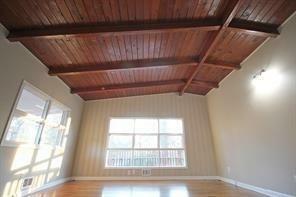 Enjoy the details of the lovely beam ceiling, open concept with a huge living room and a large eat-in kitchen. Spacious laundry room and large backyard where you can have tons of fun entertaining family and friends. 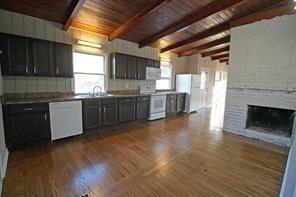 You don't want to delay - this rental will not last long!